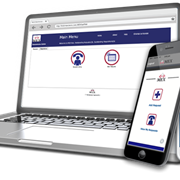 Take your maintenance operation on the road with you, have instant access to the state of your operations from anywhere, anytime with our iOS app. 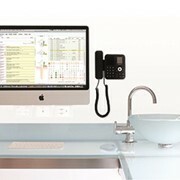 In business, every efficiency measure put in place saves you money. 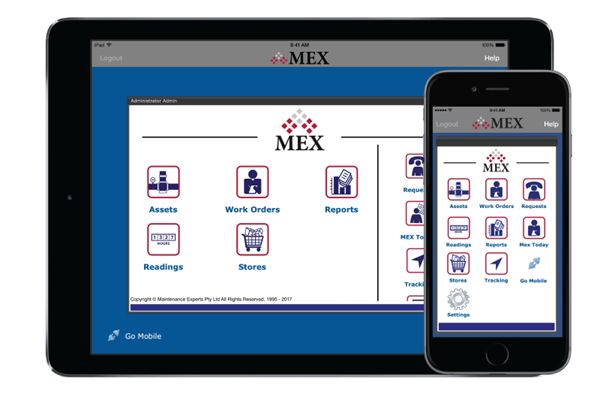 The MEX iPad/iPhone application gives you more control, flexibility and power from the front line all the way to the bank line. 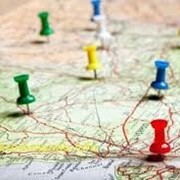 Assets Register - One central location to store all your asset information including: details, work orders, history, asset audits. 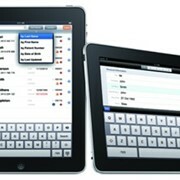 Use the iOS App to issue parts to a work order, view create and edit assets in the field. 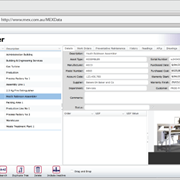 Work Orders – Manage your work in the field, access and edit Work Orders, add notes or images, add purchase orders, issue parts through barcode scanning. Create a work Order the instant you see the need for one. 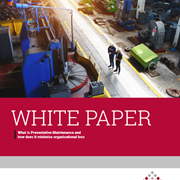 Every minute counts when you’re trying to avoid downtime that could derail operations and productivity. 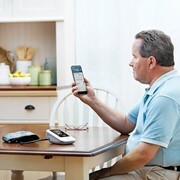 Reports – Generate reports on the spot to help you make maintenance decisions wherever you are. 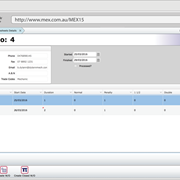 Readings – Enter new readings and be able to process existing Readings for Assets within MEX. Requests – Submit job requests from the palm of your hand. Users can also edit, approve, cancel and open Work Orders from Requests. 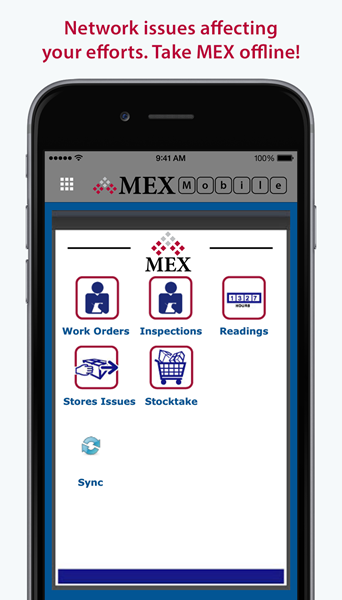 Stores* - The MEX iOS app gives users access to MEX Stores. 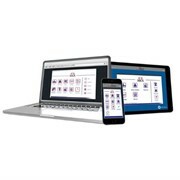 Giving you the ability to take control of your Inventory Management while on the run. 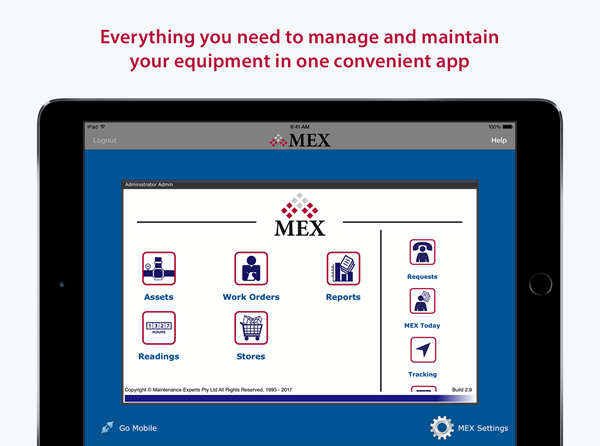 Customise – Customise your MEX iOS to suit you, create your own module in MEX and carry it across to the iOS App. Create what you need and use the App to access it when on the go. 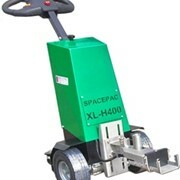 Tracking - Track your Assets and personnel with the Tracking Module. Once activated, the device’s GPS location is transmitted back to MEX. 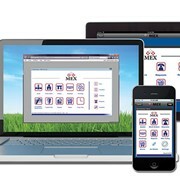 MEX is the best way to record, document and sync information about your assets, parts and labour. 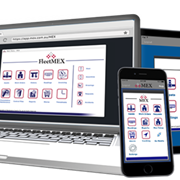 Using MEX on your Apple device is the perfect tool to help solve your scheduled and preventative maintenance issues. 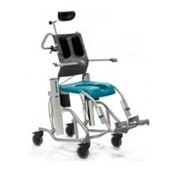 Contact MEX Today for more information. 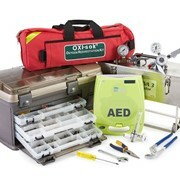 Mention MedicalSearch so MEX - Maintenance Software can best assist you! 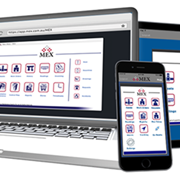 Get a callback from an expert at MEX - Maintenance Software to help answer your questions.